And Baba on several occasions especially during Christmas always reminds us that true JOY lies in thinking of Jesus (God) first, Others next, and Yourself last. A life lead in tune with this JOY is but a series of episodes of exhilarating inner happiness and deep satisfaction. 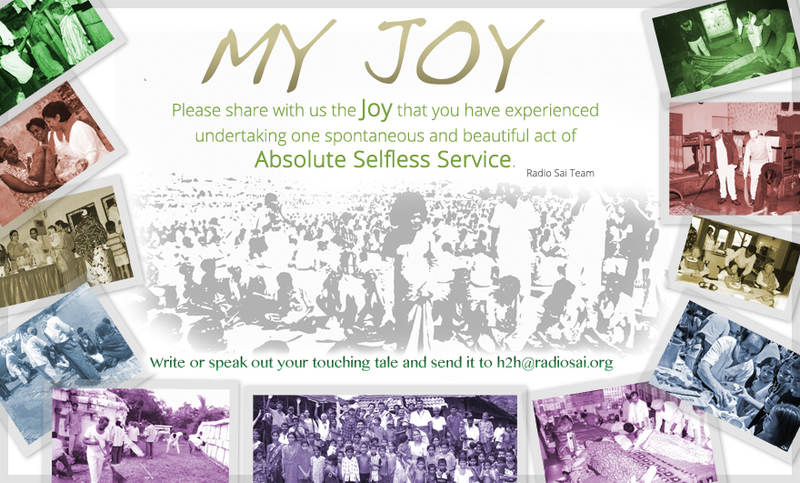 Please share with us the Joy that you have experienced undertaking one spontaneous and beautiful act of absolute selfless service. It would be wonderful if you decide to do such an act now and pen down for us how you felt translating into action that one pure thought. I. What Are We Going To Do With Your Submissions? We will continuously update this page adding all your heartfelt anecdotes of selfless love so that this joy percolates into several more individuals on this planet. II. How and When Can You Submit? Just write or speak out your touching tale by clicking here. If it is text, let it not be more than 300 words. Also do attach a picture of the activity which you have undertaken. If it is audio or video, let the duration be maximum 3 minutes. We will need your picture if it is only audio. You can start sending right now! We will continue to accept and publish your stories till January 7, 2014. III. Is There a Reward? However we would definitely like to felicitate you for participating in this noble endeavour. As a token of our love and gratitude we would be gifting each one of you a personalised Sai Poster made specially for you by Brother Sai Kaustuv Dasgupta. Let’s build this treasure chest and share this wealth, that way it will only increase and multiply! It will enrich us and the world around. Thank you very much. Merry Christmas and a Holy and Happy New Year! 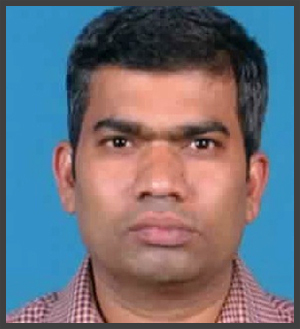 I'm Saisasikumar from Narayana Nagar Samithi, Dindigul, Tamilnadu. We haven't celebrated Christmas in our samithi for a long time. This year, Swami had given a strong thought in our minds about celebrating Christmas 2013. We just started thinking about the plans in a couple of days’ time. We all prayed to our Mother Sai, to bless our offering of Omkar, Suprabatham, Nagarsankeertan on the Holy Auspicious Christmas day. By the divine grace of our mother Sai, our Balvikas students came as Mother Mary and angels, along with little Christ. Devotional songs were offered. Also, Santa offered chocolates to Bhagawan and devotees. There are no words to explain the joy, bliss and our Mother’s grace. Still the devotional songs and the moments were running in our minds. Sairam. We love you, Saimaa. 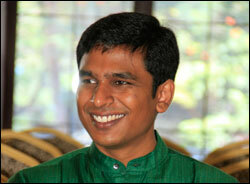 I am an active member of our Sai Centre in Toronto (York). For the last 15 to 20 years, I have been Santa Claus in the month of December. I go to Seniors’ Homes, where the average age is 85.They have very few people visiting them. I understand they are in some form of pain all the time. Our Sai seva group has seen these seniors in all smiles once they see Santa. At least, they forget the pain for some time. You can see this happiness on their faces. It is a satisfying moment for us. I go to two such places with our group. I am also Santa at the Satya Sai School here in Toronto. When I make a surprise visit, these kids are so happy. They hug you and won't leave you till the teacher comes. This is Baba's grace, for us to be able do this seva. One day in 1990, close to Christmas, in our Sai Centre, we decided to do Seva in an old people’s home. I was committed to an old lady. Through the weeks that followed I was able to establish a contact with this lady. Eventually we went outside for wheelchair walks in the neighbourhood. For this, I had to win victory over my ego as I might walk into my family members with criticism during these outings. I made up my mind and visualized Swami sitting in the wheelchair I was pushing forward, with His crown of hair below me in the chair. In the course of time, the old lady began to flourish in such a manner that her family became astonished at her blooming up and even invited me to her birthday celebrations at their home. This experience made an everlasting imprint on me. Sometimes we think to serve we must reach out far and beyond, yet we forget that our community, our very own foundations need closer attention and service. The Eastwest Centre of Narborough Road, Leicester holds Bhajans every Thursdays and forms a hub of countless programmes for Bhagawan's work. Just before the New Year dawned, a group of local Sai devotees set about to serve their very own spiritual home. They painted and cleaned the Centre, not just for themselves, but for whoever would use the venue for occasions. A person should strive to use every talent and skill they have, not only for their own benefit, but for the benefit of the whole world. Understand that society is the source of whatever pleasure one derives and whatever wealth one achieves in life. We owe everything to society and should be grateful to society for all that we receive from it. We have to repay this debt by helping at least as many people as we can. With a genuine keenness or readiness to serve others, one can attain happiness in any group or community. So service helps our worldly self but at another level, we are serving the one God that is within us all, the Supreme, absolute Self, and this will help us become aware of the unity of humanity. I shall end this article with two questions mentioned in the film 'The Bucket List' which I will never forget . . .
At the gate of heavens, God asks two questions . . .
As part of the X'mas celebrations at Swami's Super Specialty Hospital in Puttaparthi, children of our staff members staged skits, role plays etc conveying Jesus Christ's message to the world. Our Staff nurses sang carols and X'mas songs too. After the program got over we took some of the children dressed as Santa and Angels with us to visit the patients in all the Wards. We distributed chocolates & clicked pictures with them. The smile and joy that we saw on all the patient's faces cannot be compared even to a million dollar bounty! Young and Old, all alike were so overwhelmed with joy at this thoughtful gesture. Felt very blessed to be able to spread joy in our own small way. Thank you Swami for teaching us to lead such lives! Swami has been my source of inspiration since I was very young. He is my mother, he is my father, and my companion. His love is boundless. Two months ago, on 22nd November 2013, we were preparing and getting ready to celebrate his 88th birthday. We (all the youth) planned to stay in centre that evening. It was planned because many of our brothers and sisters homes were far from centre. So, staying in centre would make easier to attend the next morning’s program ( i.e. Omkaram, Suprabhatam and Nagar Sankirtan). So we all gathered, played, cooked, and made special offerings to Swami. Yes! We made a big cartons paper letters shaping “88 YEARS OF DIVINE LOVE” and pasted it on the top of the roof. We finished all work and it was already 11:15pm. So, we decided to share our experiences before we began to celebrate our lord’s birthday. We thought we would sleep after but we didn’t . . . because we had to go to distribute blankets in the streets. At 2:00am next morning, four of us went for seva with our uncle. We had 15 blankets with us and we served it lovingly to those helpless people sleeping restlessly in cold. We returned to the center and it was time for omkaram. We were running on such a busy schedule that we forgot to sleep also. After morning program, we had our breakfast quickly, and went Chunikhel village for Gram-seva (blanket distribution). We were having trouble in our health: I was having back pain. But it was all our lord’s grace and love because he cared and cured us. We served blankets to all the families and I forgot my back pain. After gram-seva, it was already 2:00pm, we went to Chapali Bhajan Group (newly established) near our centre and there we sang the glory of lord and wish him Happy Birthday! Then after, we again rushed to our centre for evening birthday program. There we sang bhajans and enjoyed the presence of our omnipresent lord. 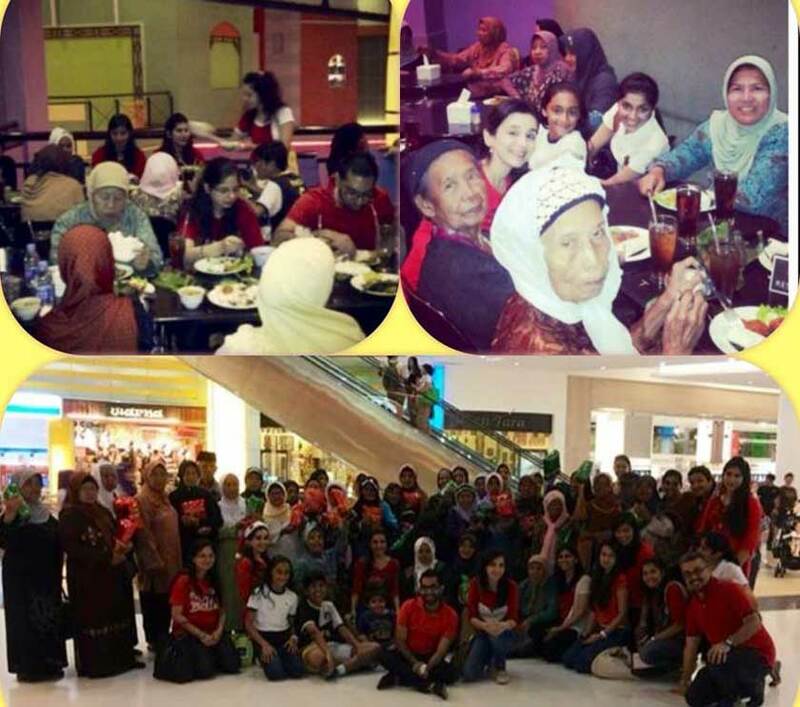 I was recently a part of this simple, yet wonderful, Service activity taken by the Sai youth of Jakarta. I’ve been to many sevas but this touched my heart. We often conduct medical camps at a particular area and there are these old ladies who we see quite frequently. So we casually asked one of them, why does she get headaches so often? Her answer was the inspiration for the upcoming seva for Christmas. She said, "I have never even been to the mall. I’m depressed – that’s why I fall sick easily." So we took this as Swami’s call for our Christmas seva. We gathered all the old ladies and men from that area and told them we were bringing them to the mall. They were excited and eagerly waiting for the bus two hours before we picked them up. We reached the mall, took them for a meal in a nice restaurant, and interacted with them too. They also danced and sang out of excitement. They were mesmerized with the lovely shops and Christmas decor around. We took pictures for their memories. They saw an escalator for their first time and with help got to go on it. They exclaimed, "How come the steps are moving?!" Lastly, we got them ice cream and they enjoyed their journey back home. I’m sure this brought joy to them and even more joy to us. This happened years ago when I was 9 years old. There was an open, low flowing drainage (Nala) behind my house and few concrete stones were placed across it to enable us cross over to the other side. Well, one of friend's houses was much nearer if we followed this short-cut and we used to prefer it. Once, four of us, all kids, wanted to go over to this friend's house who was herself in our group and we started to cross the nala. I was the third to cross and another of my friends, who was the youngest and 8 years old, was the last. As she was crossing over, she missed stepping the stone and her foot went right into the dirty nala. The other two, both older than us, started laughing loudly much to the misery of the poor girl, and she started to silently cry. Seeing this, I felt so sorry for her that I wanted to help her out. I really loved her and didn't want to see her cry. I reached out to her, held her hand, and asked her to walk with me back home. She silently followed and I took her to the tap which we had inside our house compound. I then bent down and washed her foot with both my bare hands after letting water run to remove all the filth on her leg. Luckily, soap was there and so I washed her leg using it. She was so happy and it was really so delightful to see a smile on her face once again! I don't know if the other service activities that I have undertaken as I was growing up, or even as an adult, had a touch of total unselfishness, but I know for sure, deep down in my heart that day, the joy that absolute selfless service gave me was beyond compare! This was a secret with me as I never shared it with anyone, not even my parents. I had got my reward and needed nothing else. Whenever I watch or observe Sai brothers and sister surrounding me at the "Sathya Seva Samitis," I find them engaged in various kinds of service activities selflessly. But due to my unavoidable circumstances, I haven't been able to dedicate myself as much in selfless service as expected from a true follower of Bhagwan. So I feel very sad about my inability to participate in the Samiti’s seva activities. As my mother is a Schizophrenia patient (a serious psychological disease), I have to remain at home most of the time for taking care of her. But one thing is certain: taking care of my mother according to Swami's words, since last 8 to 10 months, I have been able to reduce the ill effects of her disease 75% to 85% (this is only my assessment) only due to Bhagwan's blessings. For the word, service, in which work I have been engaged, I got my answer from Bhagwan from the message of "Thought for The Day-12th December 2013". Hence, I got a lot of satisfaction as I realized Swami was with me. Things are changing gradually and my surroundings are transforming on a spiritual way. I get the strength of doing more and more service as well as welfare works by attending daily online bhajan session in the evening at Prashati Nilayam Live through Asia stream. So I am extremely grateful to "Team Radio Sai" for providing such precious service globally. Every year, on May 6, on the occasion of Eshwaramma day, we take food for Narayan seva prepared by our center and serve it at the physically disabled care center and blind school which is about 3-4 km from our center. But, last year, due to a strike we could not take food by bus. Suddenly, we made arrangements to take the food on a cart and we did the planned seva. All of people on roadside and the people on strike were astonished by service done by the youth. The prasadam we served to those physically disabled and blind children gave us immense joy. The service we did and bliss we got knew no bounds. I pray Swami to make us his Instruments and inspire us to serve more and more. I did Narayana Seva along with my family members on the occasion of Christmas. I would like to offer this at the Divine Lotus Feet. On Christmas afternoon, I was lazing around in the house after lunch as the rest of the family took a nap. Out of the blue, I heard a goat bray loudly. It was braying continuously and I sensed some sort of panic in its voice. It was pretty unusual to hear a goat braying especially in our area, which is full of apartments. I realised the sound was coming from the open land beside my apartment, which is naturally filled with trees and plants and rubbish. I sensed the goat was in some danger. With the help of our apartment security guard, I immediately got a ladder, and with great difficulty, got down to the vacant land, and saw the goat’s head was tangled in between the creepers and plants. I climbed up and understood from the security guard that the owner of the goat was living few houses away. Once the owner was informed, he immediately came with a knife and went inside the plot to free the goat from the entanglement. The goat ran away braying, of course with a normal voice. The owner of the goat thanked me profusely for informing them about the danger in which the goat was in, and I thanked Swami for performing through me this one act of random kindness. I am part of the Aapravasi Ghat Devotional Group since the year 2002. With the passing of years, apart from singing kirtans and chanting mantras, we started some seva activities. Since 2011, we have engaged ourselves in a special seva on the occasion of Swami's birthday, like constructing a small house for a family in need. Unfortunately, this year, we have not been able to keep up our engagement for Swami's birthday and this really disturbed us a lot. So we decided to do a special seva on Christmas day. 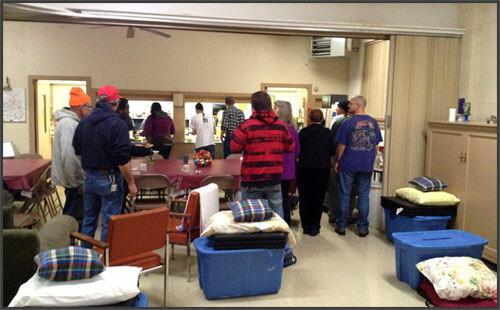 We offered a dinner to the residents of a night shelter. It was the first time that we did a seva on Christmas day and the more so was that it was the first time that these people received a visit on Christmas day. Swami has graced us this opportunity to serve these people on the day Jesus took birth. We had a wonderful time with these brothers. We sang and danced with them. As it was also the birthday of my son, I brought a cake and celebrated his birthday there. My brother put on a disguise of Santa Claus and distributed gifts to them. It was the most joyful Christmas we ever had. A big thanks to you, Swami, and please give us more opportunities to serve you selflessly. OM SRI SAI SARVA ANTARYAMINE NAMAHA - Who is the intimate motivator of all. I would like to share this experience which took place in September 2008 in Sydney, Australia. The Homebush Sai Centre regularly participates in Narayana seva, serving lunch every first Saturday of the month. The food is prepared by Sai volunteers starting around 9 am and the lunch is served from 11.30 am to 12.45 pm. That day, the volunteer who cooked the food packed some leftovers in takeaway containers and insisted I should take one pack home. As I was prepared to leave, I noticed this person resting on a bench under a tree in the car park area. I know this homeless person and remembered that he did not come during lunch session. I went towards him and asked if he had eaten and he shook his head saying no. I asked him again if he would like to eat something and he said yes. So I gave him the takeaway pack, went back to the kitchen, and prepared some drink and offered him with a few slices of bread. “Two attainments mark out a service volunteer - absence of conceit and presence of love. Service to those needing help makes you the comrade of all, irrespective of other considerations. Be looking all around you, all the time, even beyond the horizon of your allotted tasks, for any extra chance to serve. An old man may be stranded in the hot sun, a paralytic may be casting his eyes for a chair, a child may be wailing for its parent, a mother may be clamouring for water to slake her thirst . . . - watch for these, and run towards them, with a smile and a word of cheer! - Divine Discourse, Feb 21, 1971. Swami is always with us, in us, and around us . . . he is antaryami. We are a small group of youth from Mauritius, who are pretty well-engaged in serving the needy. Christmas was approaching and everybody was busy with buying gifts and toys for their children. We were determined to bring a smile on the faces of some children who would not be as lucky as our own. 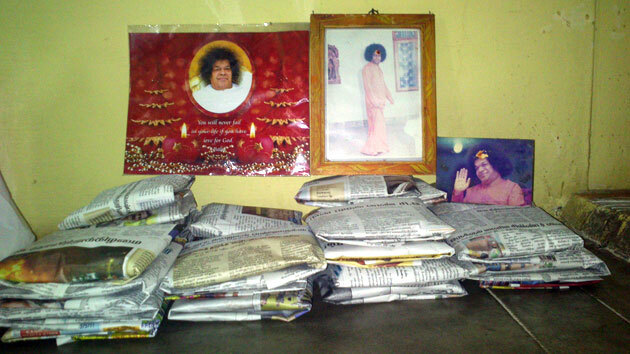 With the blessings and guidance of our beloved Bhagawan, we planned a service activity on 25 December 2013. We conducted a survey to determine some needy families who could not afford to give their children gifts for Christmas. The seva targeted 17 children, aged between 9 months and 13 years, residing in three remote villages namely Dubreuil, Bananes and Mare Chicose. Christmas is a magical moment during the year where children anticipate gifts / toys as a reward for their good behaviour and attitude throughout the year. 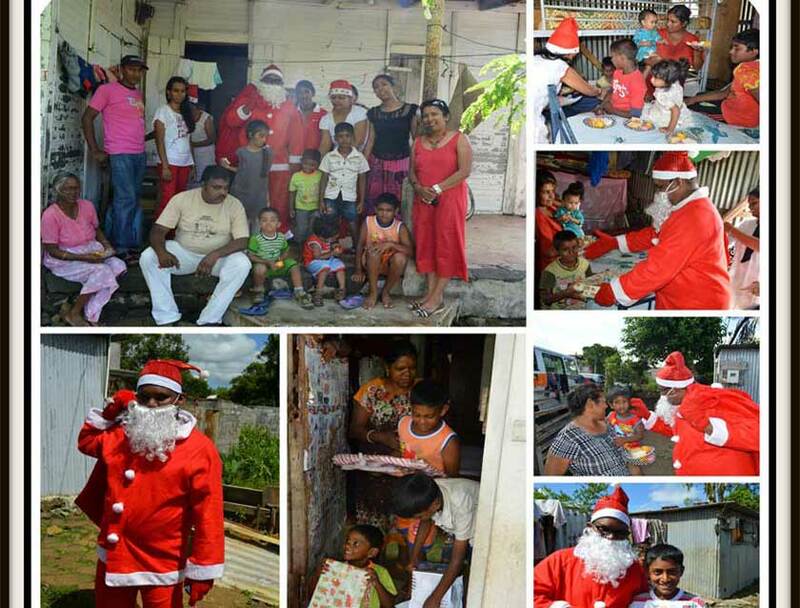 So, we invited Santa Claus to accompany us on that day to give gifts (toys) to the children. The children sang joyfully (“Petit Papa Noel,” “Quand tu descendra du ciel,” . . . .) as Father Christmas entered their houses with his bag full of gifts. We shared our love with the families by sharing cakes, sweets and drinks with everyone. Smiles and laughter echoed all over the place as the children unwrapped their gifts, discovering their presents. Our heart swelled with happiness as we watched the little angels enjoy their toys. Joy . . . experienced by sharing love with these children . . . playing with them . . . pure joy! A young boy, about 8 years, wearing only a torn trouser and no other covering on top, was playing near the huts. He did not notice the bike and the bike hit him. The boy was hit on the back of the head and was in a shock. There was some blood too. The bike riders did not even bother to see what had happened and sped away. The boy started crying. I could not bear to see the boy suffering. I went inside his hut and called out for his family. Both the parents came out. I told them what had happened. But they somehow did not have much concern. The mother scolded the boy for playing on the roadside and just tried to take him inside with blood all over. (Perhaps because they did not have immediate money for taking him to a doctor.) I could sense that the boy was frightened and was in pain. Since it was a Sunday, all the main shops were closed. I immediately stopped an auto which was passing by and told the mother that I would take him to the nearby hospital and asked her to accompany us, which she did. The doctor at the hospital was kind enough to attend to the boy immediately and he was dressed by the nurses; antiseptic injection was given. After examining the boy, the doctor said he assumed that there would not be any internal injuries. He advised the mother to come back if the boy vomited or complained of giddiness, etc. He prescribed some medicine. I paid for the doctor and also bought the medicines. Along with the medicines, I purchased some mosambis (sweet limes) and a Horlicks bottle. I told the mother not to scold the boy and to keep him rested. I went home later. It took some extra two hours than normal. I told the mother that if she wanted any help, she could call me at my home phone number (there were not many mobiles then). Between my household work and office job, I did not remember the incident much after that. After two weeks or so, as I was walking to the office, I could see someone walking close. As I turned, I could see the mother and the boy. The mother said “Amma, he is fine now.” The boy also smiled shyly. I too smiled and told him to be always careful on the roads. The Lord has been giving me so many opportunities for Seva in day-to-day life. Picking one is difficult because I try to forget these activities afterwards. Whenever I am on my way to somewhere, I am always very attentive, keenly waiting for any opportunity that might come on my way: An old man who looks lost - looking for something, an old lady who is about to lift lots of luggage, or gets down from a bus in hesitating steps, etc. Whether it is rushing to request the bus driver to wait for an old man, holding a bag for an old lady and helping her to cross the road while holding her other hand, etc. It doesn't matter if in the process of doing this seva my bus has come, or my luggage is left behind. My focus is on the spontaneous immediate response with all the heart and soul, and He takes care of the rest. Some of the sweetest opportunities I have been receiving recently have been walking down the street with constant loving smile on the face, or greeting with a gesture an old lady that sits on a wheelchair with her caretaker by her side. In addition, there are many opportunities for serving my tiny brothers and sisters - insects, snails, hedgehog, birds, etc. which also bring so much joy into the heart. One more thing: I have been motivated for a small mission, of passing on lots of love and blessings to Muslim sisters, whenever I come across them, in order to spread love and peace. Such sisters and brothers come to my town from at least three villages, so it is a great opportunity. Also when brothers come to bring grocery delivery or do work in the garden so wholeheartedly - these are great opportunities to pay respect to them and share with them some fruits from the garden (after offering them to Him) as His blessing (prasadam). I have been immensely blessed to be a devotee of Bhagawan Sri Sathya Sai Baba since the year 1969. We, as a family, took a few steps towards Him in the late ‘60s in connection with a serious ailment of my father-in-law, who was diagnosed with cancer and was given just a few months to live. True to His word, He took several hundreds of steps towards us! 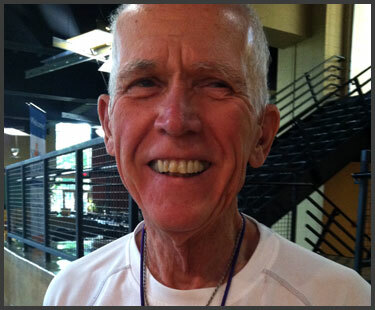 It was His infinite compassion and grace that gave my father-in-law a new lease on life. 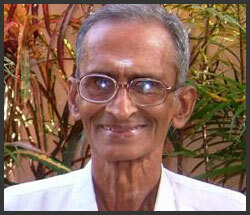 His cancer was ‘cancelled’ by Swami and he went on to live for another thirteen years. Swami also promised to take care of our family for ‘generations to come’. He has unfailingly kept His word and His blessings have been showered on every member of the family ever since. This is a brief account of a real incident and only one of its kind in my life. I was going for shopping one day to a place about a kilometre away through a main road of Trivandrum City, Kerala. About half a kilometre from my house, there was a bus stop which provided a small roof cover. It was drizzling and cold. I saw a poor male beggar under the roof of this bus stop, shivering in the cold weather, with just a dirty cloth around his waist. There was some food on a plantain leaf, which he was eating with his left hand. I noticed that he was handicapped – with his right hand defective for some unknown reason. I moved on thinking about his plight and what I could do for him. While I was returning that way after about 15 minutes, I approached him, removed my shirt unmindful of my surroundings, and put it on his shoulder. He accepted it and smiled at me. The joy on his face is something I will never forget. His joy was my joy. Glory to Bhagawan Sri Sathya Sai Baba, who actually guided and prompted me to do the service. Rather it was a service done to Swami Himself, the Lord in all of us! I have been a Sai devotee for 20 years and use to worship Shirdi Sai. After some period, I came to know about our Swami and his activities during 2005. My feeling towards Shirdi Sai and Satya Sai is that they are one and that one is Sai Baba whom I believe. My attitude towards Sai Baba is I have wholeheartedly requested him to be with me in all my words and deeds and at all times. His presence with me is felt through fragrance, like the smell of Agarbattis (incense sticks), whenever I think about him - irrespective of place, or time. This gives me full joy that Swami is there with me always. I lost my husband in 2005 and lost my confidence and was full of sorrow. At that time, like a little lamp in darkness, I was associated with Swami and his services. Out of all sevas, I was very interested and happy to do water camp service and voluntarily opted for it whenever I could. Normally in the summer, people travelling feel thirsty and get tired and when we give them water, they bless us wholeheartedly and show their happiness on their face. Whenever this happens, my joy knows no bounds by seeing their happiness and I feel that Swami himself is blessing me in the form of common people. We are three brothers and Swami had given us the good fortune to study in his college in Brindavan for varying time frames. Here's how the glory of our beloved Lord Sai unfolded in the year 1997. I was posted in Indian Air Force base at Jamnagar in Gujarat, India as a pilot. My wife and I were returning from Rajkot (roughly 90 kilometres from Jamnagar) after the first servicing of our brand new car. When we were 45 kilometres short of Jamnagar, we witnessed a terrible accident. A woman who was the passenger in the front seat had her throat slit by a portion of the metal from the car. The case looked hopeless. However, with the grace of Swami, we got the courage to attempt rescue her. We extricated her from the crash and put her in the back seat of our car. Since she was bleeding profusely, the entire rear portion of the car soaked with blood. The nearest hospital was in Jamnagar at an hour's drive from the accident site. On reaching the hospital, we arranged for sufficient Air Force personnel to come and donate blood for her survival. Many of my friends and I stayed at the hospital until the early hours of the morning, when the doctors could complete complex surgeries on her. None of us knew who she was or where she had come from until police from the accident site came looking for her. Once she was identified and her relatives arrived, we left the hospital. We visited her later to find that she had not just survived but had all her essential organs were intact. Contrary to my major worry, she did not lose her voice. I helped my school friend when she fell from the slope. There was a big scratch. I put water on it and took her to the office. They put some ointment and a band aid. When the school bell rang, I took her bag and kept it in her seat and dropped her to her bus. I went back to my bus and sat. I felt good. 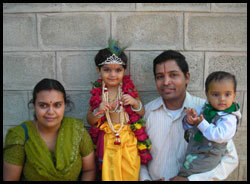 Late one evening, I was driving from my in-law’s place, Padmanabhanagar (Karnataka, India) to Kadugodi with my family. It started raining with big droplets and it got heavier. Somewhere near Bhanashankari, we went past an elderly lady carrying some baggage, drenched in rain. Given the speed we were moving at, we almost crossed her and came to a stop 20 feet ahead of her. I just stopped the vehicle by the roadside and asked my family’s consent saying, “The Ajji (grandma) is walking in heavy rain there behind. Can we drop her at the nearest possible place on our way and go?” My wife readily agreed and we waited few seconds for her to come nearer. We expressed our wish to give her a ride. Seeing the family seated inside, that grandma felt safe and got in with her baggage in hand. And she said, “Baba somehow keeps sending help like this.” With curiosity, we enquired further and she told us that she got her monthly groceries from some samithi nearby and was on her way to her residence! We got surprised knowing the wonderful ‘Saincidence’ that happened to us. Had we ignored her, we would have missed a lot. Thank you, Swami, for having given us right mindset to do the good act immediately without second thought. On a late Friday night as I was listening to a discourse on Radio Sai, I had this sudden intense yearning to be connected with Swami which I had not felt in a year or so. At that moment, nothing else mattered except for his pure love. On Sunday evening, Swami, in his own way, gave us an opportunity to distribute blankets to the homeless to beat the chilling winters. Again, I had not taken up any service activity in almost a year. The seva got over really late and I had my dinner only after that. I have a strong feeling that Swami answered my prayer to be connected with Him by giving me an opportunity to connect with the most needy and share His love with them. 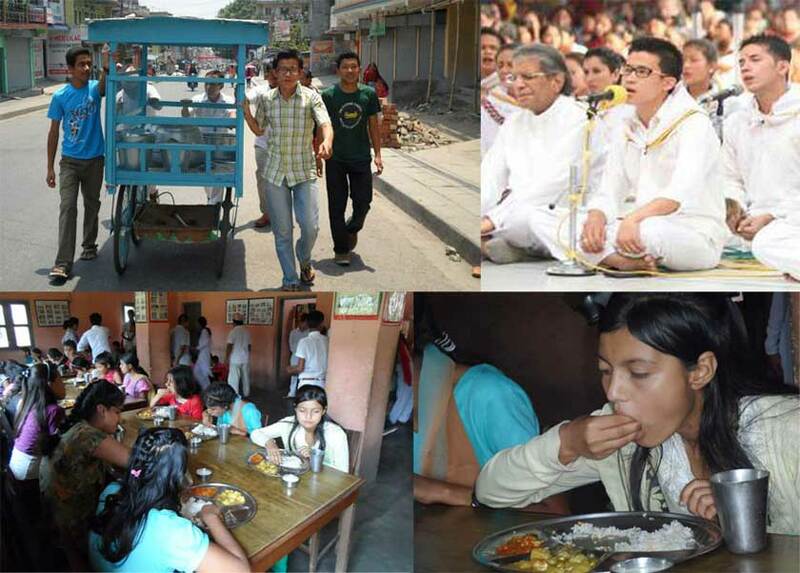 The seva was a very enriching experience and also an eye-opener for many of us about the harsh realities of life. The most important lesson for me was that it is always God first (the intense yearning and praying for love), others next (that prayer for love got translated into a joyful seva activity), and yourself last (dinner, at last). I was very fond of eating outside, buying new clothes for birthdays, and wedding anniversaries. But after comming to Swami, I am no longer interested in celebrating these occasions, or any other festivals in a grand manner. Instead, I am interested in giving my kid's clothes, toys, shoes, and all our other accessories to poor people, orphanages, or phisically disabled persons. I like to give food items to phisically disabled persons or mentally challenged children. Swami is guiding and talking with me every day after I turned like this. All this is possible only by Swami. I am very happy for these thoughts and actions. With the blessings of our Lord, I had an opportunity of participating in seva activity of food distribution at Mother Teresa Home for Mentally Challenged at Nunna, Vijayawada. It was the day of Bhagawan's second Aradhana Mahotsavam. Delicious food and Bhagawan's laddu prasadam were served. In spite of being a Christian Charity, vedam and Bhajans too were organised. Innocent smiles and real happiness in their eyes was the awesome experience that Bhagawan has granted me and even made tears roll in every one's eyes. 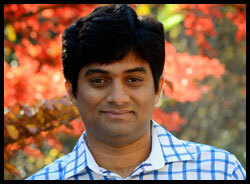 I am sincerely thankful to Bhagawan for granting me such a valuable opportunity and experience. Initially, I was hesitant to venture making this present submission when I read that a spontaneous and beautiful act is one which demonstrates absolute selfless service. After carefully going through the advice once again, I am making this submission with no expectation of reward. Since few months back, I thought of spreading the gems of messages of Sri Satya Sai Baba with a view to give the benefit to one and all. A spiritual diary containing gems culled from the books by Bhagawan Sri Sathya Sai Baba (1980) came to my mind and I started sending the daily messages between 6 AM and 6.30 AM regularly to my near and dear which has not only been well received by them but also in turn, they started relaying those messages to their near and dear, thus bringing about a change in their behaviour and actions. Absolutely, I have no intention to get any benefit from that act. On the other hand, I derive great pleasure in sending those messages. I take it as Baba’s gift and blessings to me. 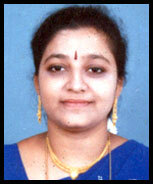 I am Sai Geethanjali,10 years old. I am a Balavikas student. I live in Bangalore, India. One day in our apartment parking bay, we found two newborn pigeon chicks in a bicycle basket. It was early morning on a cold day. The chicks were squeaking helplessly. There was also a rude cat moving around. I felt sad by the threat, insecurity, and helplessness of the poor chicks. So I requested my father and moved the chicks to our home and placed them in our attic. That night we tried to feed them with some paste of food. However, they could not survive more than a day, since they had lost their mother. On the day before our school annual day function, my friend, Priyanka, hurt her ankle and got it sprained and cried badly with pain. I supported her as she tried to hop and moved her to the school sports room. As the annual day practice was in progress, there was no one to help us around. I swiftly moved and found a Volini spray pain reliever and sprayed it on her leg. She felt much better. Later, we also prepared her some cold, soothing buttermilk which was very refreshing for her. I had participated in the school sports day selection process along with my friend, Mahika. During one of the cross country relay race practice sessiosn, Mahika tripped and fell down to hurt her knees. I could understand the pain as it was bleeding and Mahika was in distress. I helped her to walk and moved her to the sports room and cleaned the wound first with cotton, and then with an antiseptic Savlon. I also applied Burnol and tied the wound area with cotton. Mahika felt much better and thanked me. Yesterday, I was in my Senior Citizen Center (in the United States) after taking my armchair yoga class. I wanted to go home, but Miss Mattie, a woman about 90 years, was seated alone on this snowy day. So I decided to play cards with her for a few minutes. As we played, I asked questions. She had grown up in a sharecropper shack near Dothan, Alabama, with holes in the windows, roof, and floor. Her family struggled in the heat and cold, raising peanuts and some cotton, with little to eat; a life not unusual for the elderly in my Center. Still, she had been a very happy child. At 28, she became a maid for a Senator's family and moved to Gettysburg, Pennsylvania where she was illtreated by the mistress, a school teacher, and for months, she had no coat for the frigid winter. Later Miss Mattie married, became a minister. So little it seemed yesterday, this game of Pitty-Pat and shared stories, yet so joyful. I would like to stay with my family and am trying to help someone really need help. I have sent some money to needy people. My intention is to help the people who do not have any support. We need to practise Swami's teachings. Swami's hands are wonderful. I got an email from old student asking for help and I was so moved that I went to help his father who was hospitalized after a stroke and whose right side was paralyzed. I did not do anything as it was Swami who sent me. I found a good friend's father who does Reiki (Japanese healing meditation) and took him along. Daily and weekly progress was so amazing that none of his family members could believe it. It was a miracle and good fortune for me to watch that miracle happen. Thanking for this opportunity and praying to Swami to keep me in his path forever. We, the members of Satya Sai Seva Samithi, M.Chavadi, Tanjavur, Tamil Nadu, on December 15, 2013, went to the school for the deaf and dumb, to offer Narayanseva to the children, numbering 120. We were about 20 sevadals in all. We prepared meals in their presence. We later conducted Sai bhajans. The children prayed for all and paid reverence to Lord Sai. It was a moving occasion to be in the presence of aurally and orally impaired children. We felt immense peace and love descending on us after the seva. From 1 December through 31 March each year, this Church offers food and rest for about 20 homeless individuals, sheltering them from sub-freezing nights, from 5:30 p.m. till 8 a.m. every day of the week. I discovered them by accident [Sai Baba] and decided I needed to help every Sunday evening; 'People helping People' is a goal of mine and makes me very happy. One night, while driving back home after picking up dinner from a restaurant, we saw a person at a traffic signal. He looked completely tired and exhausted. He was holding a card that read “Hungry, Tired, No Money, Anything would help." The signal turned green and we went past him. I felt a driving force from within to help him. We took a U-turn, came back to the same place and gave him the packed dinner we had just picked up. His face beamed with a jubilant smile and with great joy he uttered “Thank you. God Bless you." Swami, Thank you so much for giving me this intention and opportunity to offer help. This incident occurred few days back while our family went for breakfast to a famous but simple tiffin centre in Hyderabad. When we finished our eating, an old lady came asking for some food. Usually we keep in mind what Swami wants us to do - instead of giving money, it is better to give food. We requested the man serving the tiffins to give her tiffin too, and charge us for her meal. My niece, who was accompanying us, asked me to look at the old lady. That 'Bhola (innocent) Lady' was seen blessing us lifting both her hands. If we follow in our daily lives what Swami has been teaching us for the past eight decades, imagine where we will be! This incident happened during my early days in the Youth Wing, Bangalore. 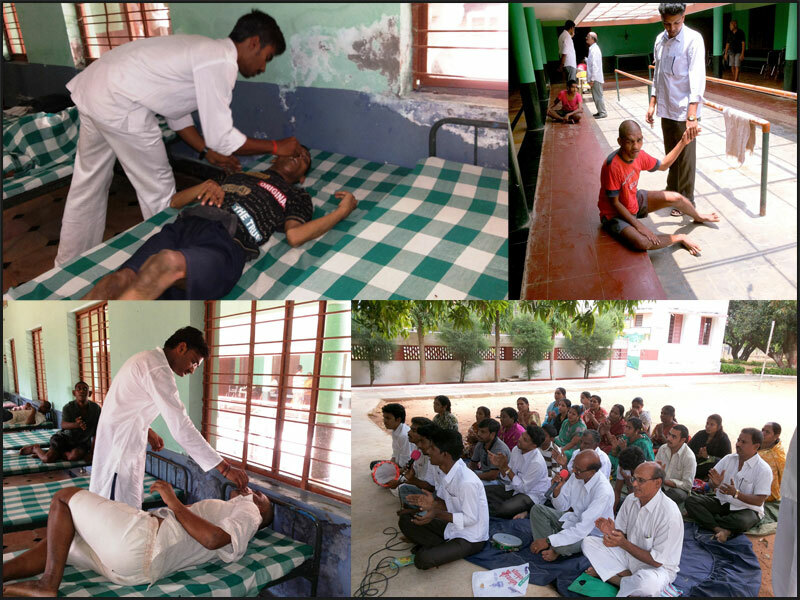 We do a monthly Narayan seva for the mentally challenged inmates of NIMHANS (National Institute of Mental Health and Neurosciences). There had been a remarkable change in their behaviour from the time this service project was started. So we planned to take a select few for an outing to Vijaya Vittala temple in the outskirts of Bangalore. We even made them play simple games like bucketing the ball, lemon and spoon, etc. It was a recharging and a memorable trip for all of us. When we retired and when it was the time to bid goodbye and sairam to them, one of the inmates came to me and said, "Sister, today I am very happy. You know what? It had been such a long time; the last time I played was when I was in my village. I am very happy! I am very happy! Thank you, sister." She kept repeating it. Unknowingly tears dropped from my eyes, made me resolve to never give up seva in my life come what may! June 8, 2012 was the most dreadful day in my life. The day started as usual at 5:45 a.m. with my usual kitchen work and cooking for the family. Then came the phone call from Chennai that my father, who is an extremely active and spiritual soul, had passed away that morning in his sleep. It was so shocking and sudden that I had to rush to the airport along with my two kids. I was in a state of confusion and panic. I managed to get three air tickets for a flight to Chennai at the airport entrance. As I stood in queue for the boarding pass, there was an old man who was also travelling to Chennai. He was right behind me in queue. I noticed that the old man was struggling to follow directions. So my kids and I waited for him. It happened just with an eye contact. No words were spoken at all. We walked slowly along with him to the seating area. He said he wanted to go to the washroom and asked us to wait with his small bag and we did that. It all happened so naturally. We then waited for the flight and not a word was spoken at all. I was still in a state of shock and was not even able to cry. We boarded the flight and landed at Chennai as per schedule. We didn’t carry any checked-in baggage but we noticed that the old man was again confused as he had checked-in luggage. So my children and I waited with him for the baggage and then escorted him to the exit. It was then that the old man beckoned and blessed me and my kids with showers of blessings in pure Sanskrit phrases. I was overwhelmed and couldn’t stop crying as I ran towards the taxi area to run home and attend my father’s last rites. As Sai devotees it is natural to love and serve all. But that day, I realized the power of service even when we are at the weakest situation of our lives. I am temporarily in the United States and wish to send Rs. 500 of my pension to Nuzvid Sai Centre, AP, India for distribution of cakes to children of one (small) village of their choice. I am happy to send the money and am imagining their happy and smiling faces. My joy of divine experience is doing Grama Seva (service in the villages). I am associated with Sai Darshan in Bangalore, Indiranagar Samithi. I got an opportunity to participate in the monthly village medical camp activity last Sunday. It is a pleasure to do Swami's seva with consistency. My task was to fix an appointment with doctor and volunteers, take care of logistics and procurement of medicine. To serve the needy people in remote villages is a great opportunity provided by Swami. It is in fact a blessing from Swami, this chance of doing His seva with love, compassion and dedication. Christmas is very special for me and my family because we got Swami’s first Darshan on this auspicious day on Dec 2010 in Prasanthi Nilayam. It is a very special occasion, which we always remember. Swami has shown the path to lead our lives with love and compassion. Love All, Serve All. Help Ever, Hurt Ever. 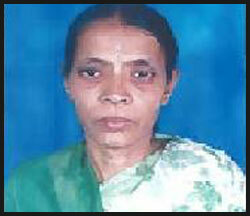 In Feb 2012, Swami gave me the opportunity to help a poor lady get operated for cataracts on both her eyes. This was in my final year of engineering and when my project was going on. This is one of the most memorable events of my life. I felt so much love and joy during this period. She was so grateful to Swami and blessed me profusely with her love. The eye hospital played a big role by offering to do the surgery free of cost. 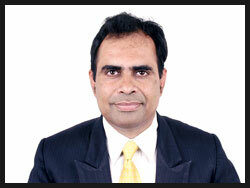 Swami's omnipresence was there all through the five months of surgery and post-operative care. I thank Swami for giving me this wonderful opportunity. I usually aim to catch my office bus which comes to my stop at 7:25 am. But on one particular day, I could not even aim for that as I had a few chores at home to complete. So I thought I would take my bike to work and reach office on time or at least only a few minutes late. While I was riding my bike on the Old Mahabalipuram road, my attention was drawn to a car. There were three kids all in school uniform in that car. My attention was drawn towards their car because the kids were stretching out their arms through the open window of the car and the driver did not seem to warn them. I kept watching as I was initially hesitant to tell them to be careful. There were many cars that were passing very close to this car and my heart started pounding as I started imagining what would happen if some car passing by hits this car or crashes near the window. They might have taken me as a crazy woman staring at them. When I could no longer bear this sight, I approached their car and told the kids not to stretch their arms out of the window. To my great relief, the kids immediately listened and withdrew their arms. When I was re-living this incident, a thought came by to share this spontaneous act of service with Radio Sai. I got immediate acknowledgement from Swami in the form of a picture in another car. This may look insignificant to the readers but for me it was a good experience as Swami immediately recognized the small act of kindness. You can start sending in your entries to [email protected]. Do not forget to mention your name and country.